The history of the Hotel Londres started during the decade of 1920 when it was built to become a hotel for tourists. 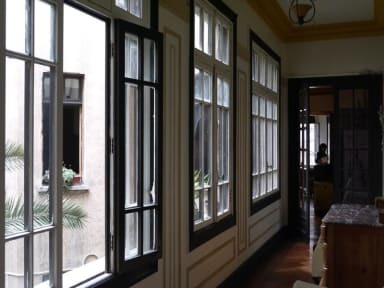 In 1964, Don Pedro Ilic with his wife Adela Dumand bought the Hotel Residencial Londres to maintain the traditions and characteristics born with the beautiful Barrio Paris Londres, and, along with this area, converting itself into a national monument. 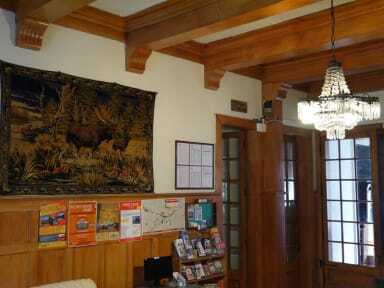 All rooms are equiped with cable TV, private bathroom, telephone and electric heating. The rooms have broadband connection of Internet (for your notebook), included in the price of the room. We accept credit card VISA - MASTERCARD ..